getting ready for inktober pt3: diy markers. Getting ready for Inktober pt 3: making your own ink marker. I have three ways of making my own markers. 1. The easiest and of course most expensive and cleanest way is to buy a copic sketch blank marker- $4.5 to $8. Use a syringe and fill it with your favorite ink and follow directions on how to refill a copic marker. 2. Look for a waterbrush pen. Instead of filling it with water, use ink. If you shop around they cost $1 to $5. Caveats are store with brush tip up. And the ink will stain the brush after time. Also it is a brush not a pen and you get a lot of ink gushing out if you press the body too hard. 3. My favorite- the platinum brush art pen. It’s a felt brush tip marker. I turn it into a eye-dropper pen. I use a bit of silicon grease up by the top of the threads. You can also add in an o-ring, if you want. Take a syringe or an eye-dropper and fill with ink and empty into pen tank. Screw the head mechanism into the body tightly. Cap and shake a bit and you’re ready to go. 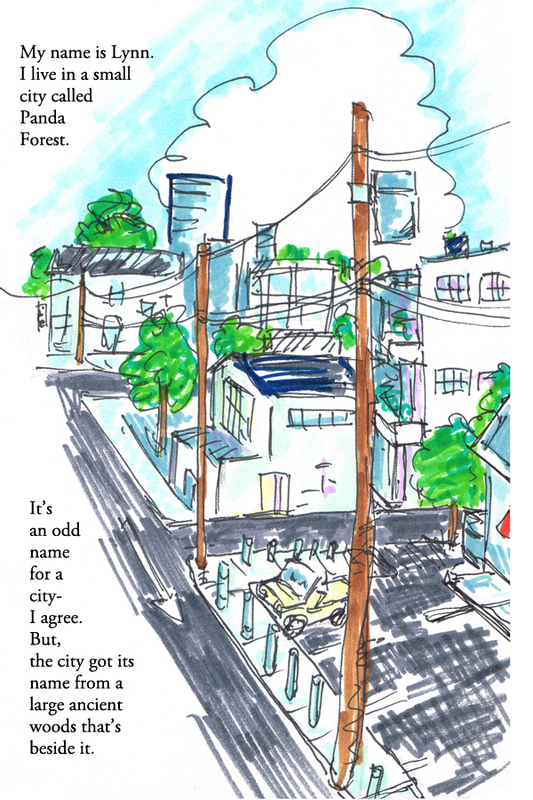 Sometimes, I like to watch the ink creep up the feed into thecfelt tip. Love that capillary action. Now, the caveats. Store with brush tip up. Over time the ink builds up in the felt tip and you end up with a darker color. That’s fine. 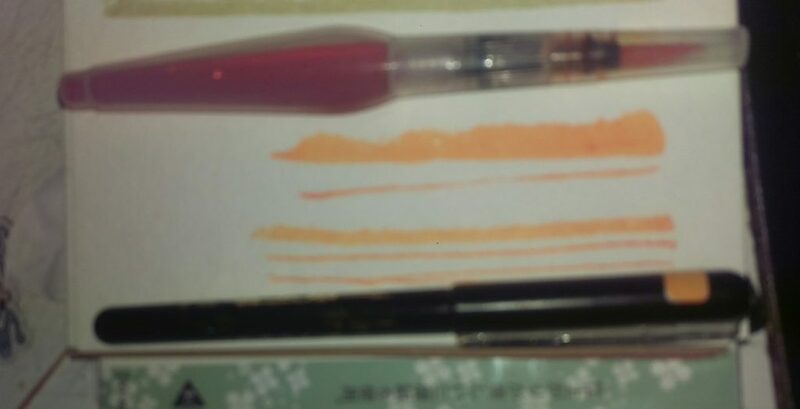 You can rinse it out or have a darker tone pen and refill another pen for the lighter color. Sometimes the felt dries out a bit so just wet it a bit and return it to life. 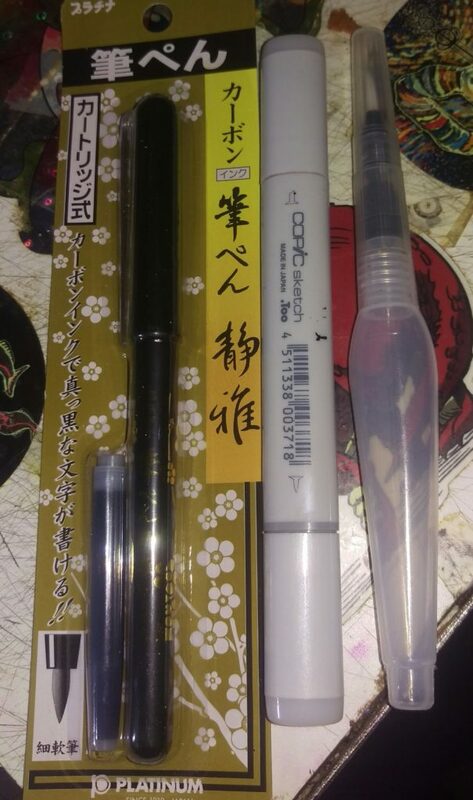 $3.30 at jetpens. Silicon grease and syringe available at goulet pens. Comments Off on getting ready for inktober pt3: diy markers.